Finance moves fast, and the ability to work from anywhere on your smartphone or laptop could be a game-changer. But can your personal devices ever be secure enough to manage your clients’ sensitive financial data? 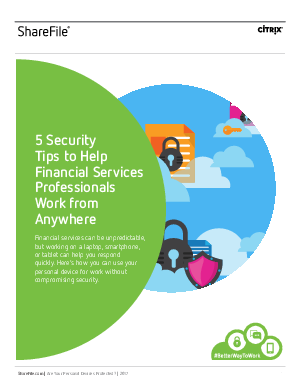 Surprisingly, this informative whitepaper shows that, with the right preparation, using your personal device can actually help you keep your organization more secure.